The five suspects involved in the Offa robbery incident in which 32 people were killed have pleaded not guilty. 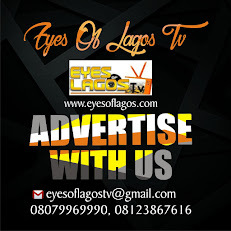 Eye of Lagos gathers that,The suspects appeared before the Ilorin High Court to answer to the robbery in Offa, Kwara State on April 5, 2018. They pleaded not guilty to five counts of conspiracy, robbery, illegal possession of two AK- 47 firearms and culpable homicide. Their lawyer, Mr Mathias Abaribe, had asked that he be given a week to enable him meet with his clients and prepare for their defence, but the prosecutor raised objections to the request. The Presiding Judge, Justice Halimah Salma has, however, adjourned the case till January 7, 2019, for the commencement of definite trial. This development comes days after the Police confirmed the death of one of the principal suspects in the case, Michael Adikwu. The state’s Attorney General and Commissioner for Justice Kamaldeen Ajibade, had told the court that the police informed him that Adikwu had died in custody.